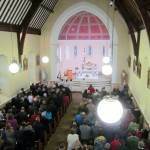 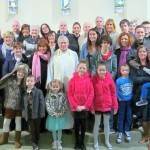 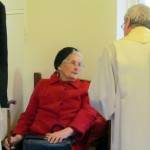 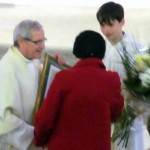 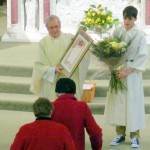 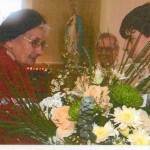 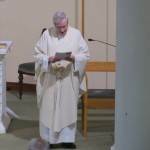 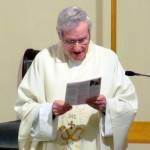 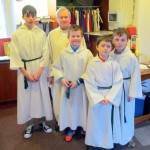 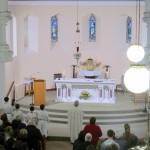 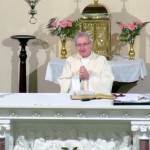 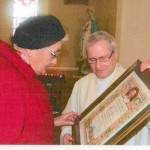 At all the Masses over the weekend of 12th – 13th January 2013, Fr Pat bade his farewells to the parishioners of Ardkeen. 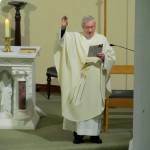 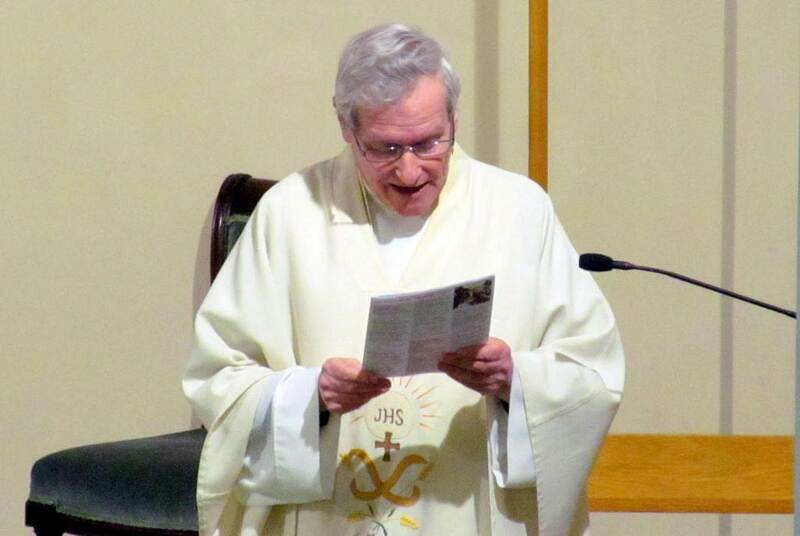 He said he leaves the Parish with a wealth of memories of his four years with us and he was blessed in sharing all the happy events of the Parish and at times the not so happy events. 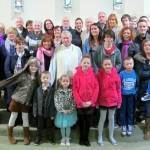 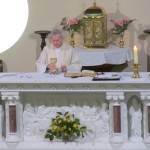 At the 11.00am Mass in St Joseph’s parishioners were joined by Fr Pat’s family and prior to his final blessing Fr Pat made a special presentation to Mrs Bridie Ennis who ‘retired’ from her duties as Sacristan at St Joseph’s during the summer. 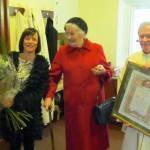 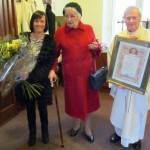 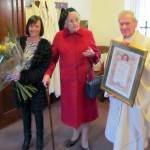 Fr Pat spoke warmly of the untiring work Bridie did for him and for St Joseph’s before presenting her with a framed Papal Blessing from Pope Benedict XVI and a bouquet of flowers.